Any business that wants to continue growing has to consider new ways of developing and engaging with customers and clients. Innovation and co-creation have emerged as the key topics in the post-recession business environment. Brand Together will show you how to involve all stakeholders in the process of creativity - providing inspiration on how to revitalize brands and enable them to succeed in the new world of customer engagement and participation. Brand Together demonstrates how to truly intertwine innovation with brand strategy, with expert guidance on how to co-create with customers from a brand perspective. Drawing on case studies including Barclays, Mozilla, [yellow tail], Kraft Foods, Virgin Media and Danone, it provides valuable insights for marketing and branding professionals, and for anyone who wants to grow their business and brand. 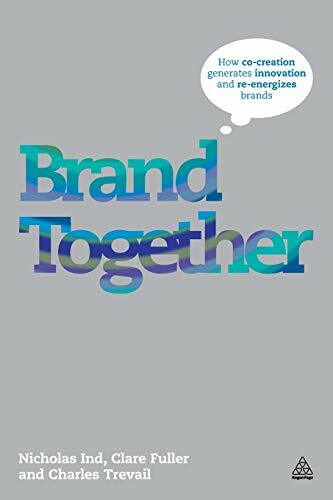 "[A] well-organized and scrupulously researched work...Every brand manager should find the wisdom and guidance they need to make the most effective use of co-creation in this excellent book."